The Start Button is the little flag icon in the bottom-left corner of the main screen in Windows 10. 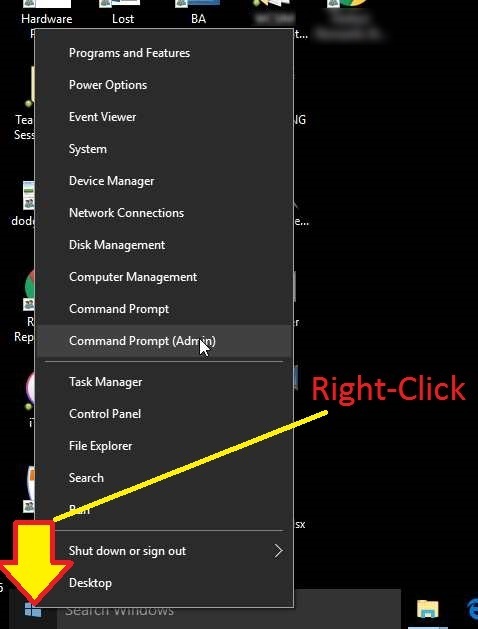 Right-click the Start Button to get a menu of useful commands. 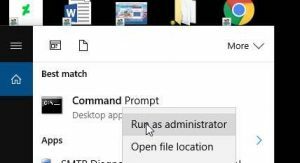 From here you can click on Command Prompt (Admin) to get an elevated command prompt – you’ll be asked for permission first (just click Yes). It will open in a black window. When you’ve finished with the command box, you can type exit or just close the black window by clicking the normal “red X”. 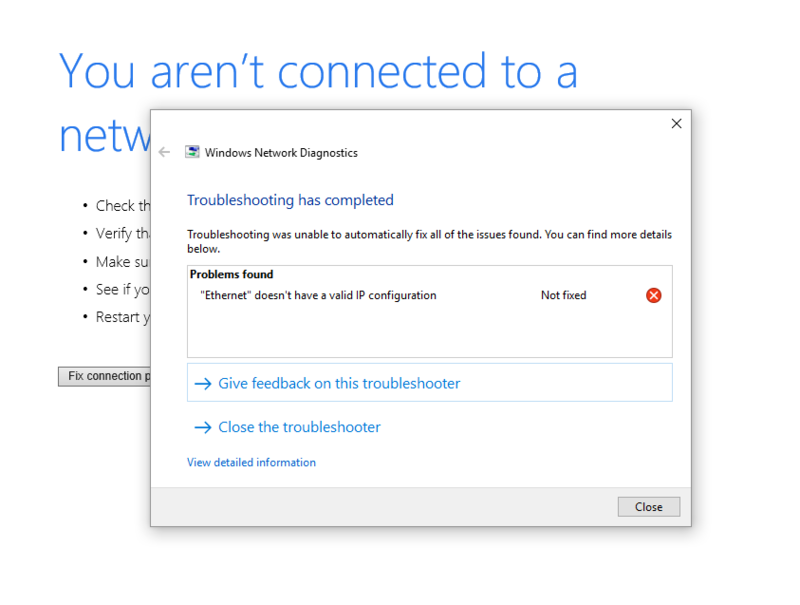 The Windows 10 Search Box is a very useful tool, and under-used by many people. 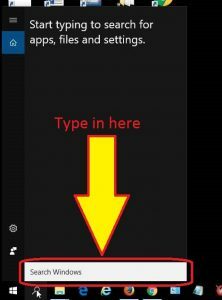 You can use it to search for almost anything on your PC (and maybe on the Web) – files, photos, documents, settings, and so on. It’s at the bottom of your main PC screen (the desktop), just to the right of the little Windows flag (the Start button). It may contain the words “Search Windows”, “Search Windows and the Web”, or “Ask me anything”, depending on your PC’s settings. To use it, just type the start of a word or phrase into it. As you type, it will show you matching things that it finds. I could either click it to run a command box, or right-click and choose Run as administrator to run an Elevated Command Box (that is, a command box with extra privileges). Many of my customers have contacted me in the last week because they cannot get on the Internet – they sometimes see a message about not having a valid IP address. This seems to have happened after a recent Windows 10 update. 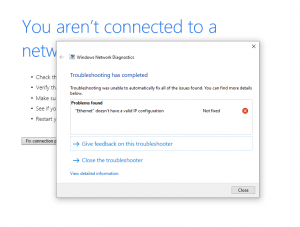 In every case, setting a static (fixed) IP address has fixed the problem. 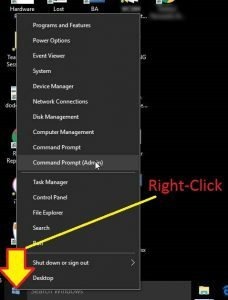 Here’s how to set a static IP address in Windows, and more extensive article here, which also covers Macs.